The calf is a vital group of muscles (gastrocnemius and soleus) for endurance athletes, especially runners. That’s because it serves to provide shock absorption and propulsion during gait and running. When assessing the performance capabilities of the lower leg, having adequate calf strength/endurance, as well as ankle dorsiflexion mobility are important. Both of these areas are needed for optimal mechanics and performance of the lower extremity. What I find is that runners are often lacking in at least one, if not both, of these areas. That’s when a mobility first or combined approach needs to be taken to resolve the missing ankle dorsiflexion before strength and endurance can be effectively improved. It’s not that strength and endurance need to take a backseat, but it becomes harder to improve range of motion around a joint when you are simultaneously increasing tone and tension with resistance training. In the following video, let me walk you through a simple and effective 4 exercise progression to develop strength and endurance throughout the entire ankle range of motion. 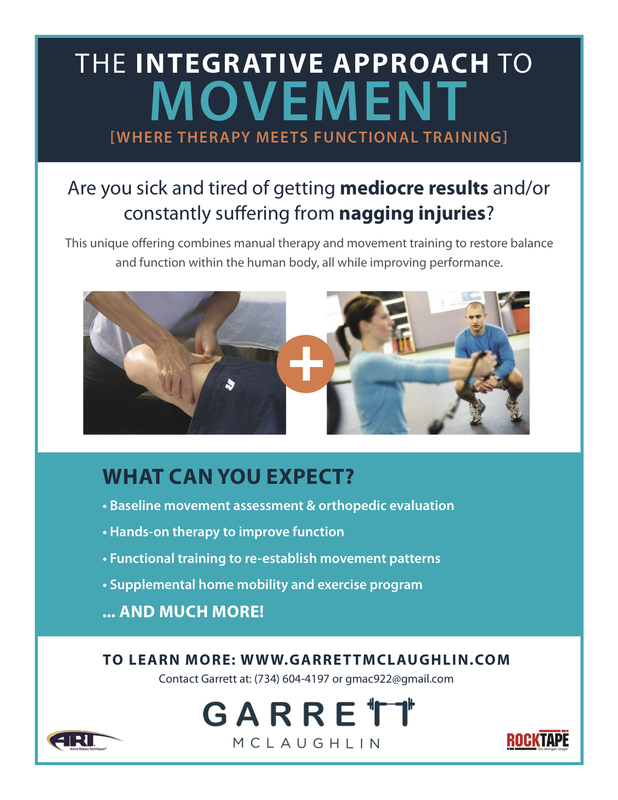 This is important for runners and those needing attention to mobility, as well as strength. Please leave a message below or contact me directly with any questions or comments. Thanks for reading! Just stumbled on your video after pulling my right calf for the second time in the past 4 months. I realize i need to do more of this work to fix whatever underlying issues i might have that’s causing me to get injured. I am a pretty serious runner running 35-40 mpw, training for an ultra marathon. My question is how frequently should i be doing this kind of calf strength work each week? Also are there any other stretches and things i should be doing? The one common thing is i have rolled this ankle several times so i think my ankle mobility is likely pretty poor. Any help you can provide would be greatly appreciated. Thank you! Hey Matt, thanks for checking out the article! And, sorry to hear about the calf. I would work on the calf strengthening 2-3x/week and progressing to the next variation every 4-6 weeks. If you feel like one variation is easy to perform, add resistance and load it up as long as it doesn’t become painful. If you have had several calf strains, it might worth your time to complete this self-assessment: https://www.youtube.com/watch?v=42OU1SwzVpQ. This will atleast give you an idea of where you standing when comparing side to side, rather than aimlessly increasing strength. In terms of ankle mobility, this self-assessment would be very beneficial to gauge motion at the ankle/calf and if that needs to be addressed: https://www.youtube.com/watch?v=l6n46g3dGRs. Actually use a ruler to measure out 4-inches from the wall and make sure the heel stays on the ground. If you cannot touch the knee with the toe at that distance, slide the foot in and actually get a measurement of where the foot is placed when you are able to. Compare this to the other side. And if there is restriction, some basic calf stretching/ankle mobility would help: https://www.youtube.com/watch?v=FWrtK2HhEIg & https://www.youtube.com/watch?v=eGjJkurZlGw. After working on all of this locally, investigating balance, single leg stability, and hip extension might be in order. I would work on the above mentioned exercises consistently first and see where that takes you. If you wish to expedite the process, definitely find a local provider in your area who can look at the whole kinetic chain to determine what may contributing. Thank you so much for such a quick send helpful response! I just injured it yesterday, and from what i can tell it’s borderline grade 1/2 so I’ll likely need to take at least a week or two before i can start on any of this correct? Just been following the rice method since yesterday, with some self massage. You could be looking at a few weeks to month. I would weight bear as tolerated and continue with active movements regularly. Don’t over stretch or force any motion but keep moving. Then once it feels like it has calmed down then introduce what I recommend while keeping pain within reason. Good luck! !